Paddle boarding has existed for an extremely long time, but recently it has been gaining even more popularity. It has become a trendy summertime activity for a wide range of people because of how easy it is to learn. Paddle boarding can be done as a a leisurely pastime or a more aggressive workout, and that makes it fun for a whole range of people. There are two types of paddle boarding, with the main difference being the position of the person on the board. Traditionally, paddle boarding is done in a kneeling position, but there has also been a rise in “stand up paddle boarding,” in which the person is actually standing upright on the board. Both of these styles are extremely popular summertime and vacation activities, as paddle boarding is both fun and a workout. Paddle boarding can be done on a surf board or a specifically made board. Many paddle boards are inflatable, which makes them easy to bring on vacations or trips. These inflatable boards can be folded up rather small for easy transport and inflated when you’re ready to use them. Inflating a board, can be a long and tedious process. 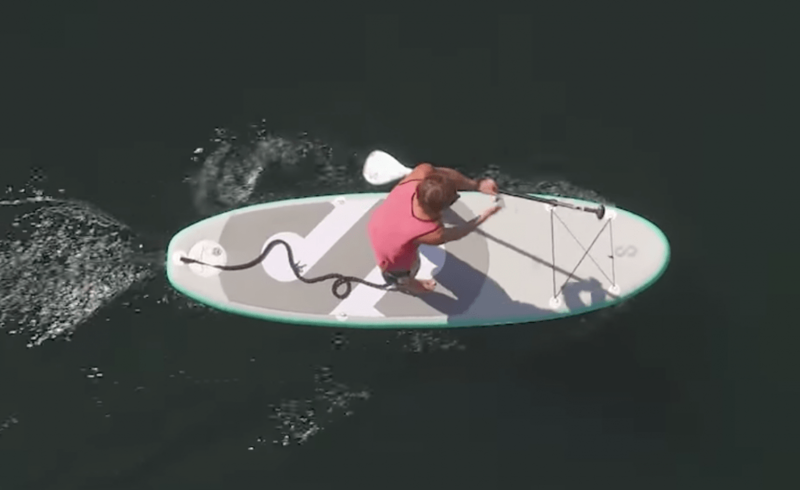 Now, there are paddle boards which are actually self-inflating. These boards can be turned on and set up and they will inflate completely on their own. This is great to bring along on trips, as you can set up your board to inflate while you can keep having fun. Self-inflating paddle boards are a relatively new technology, and one in particular has become very popular. A company called SipaBoards (http://sipaboards.com) is pioneering the idea of a self-inflating stand up paddle board. They have many different types, including some that are controlled by an electric engine for paddling assistance. SipaBoards has created the world’s first self-inflating paddle board, making the idea of paddle boarding accessible to a whole new range of people. The idea of a self-inflating paddle board is enticing for many reasons. Generally, inflating something by yourself is a lot of work and can be very time consuming. Even with the assistance of a pump it can be tedious and tiring. No one wants to spend precious vacation time pumping up an inflatable paddle board! A self-inflating board allows users to set up the board and essentially walk away, allowing the board to do the work while you continue to enjoy your vacation. 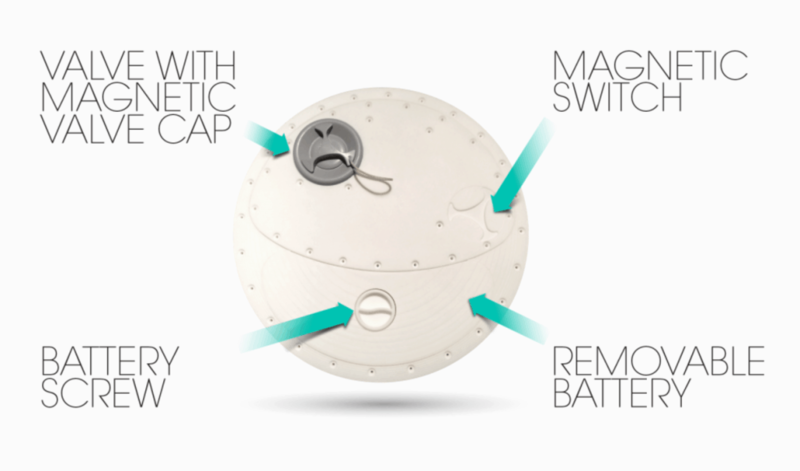 The self-inflating boards take anywhere from 5-8 minutes to completely inflate, depending on the shape and size of the board. In comparison to pumping something up yourself, this is an extremely short amount of time. Some rental shops are even beginning to have these self-inflating boards. If you’re looking to try one out but don’t necessarily want to jump into buying one right away, a rental might be just what you’re looking for. What Styles Of Self Inflating Paddle Boards Do They Offer? These boards come in a variety of shapes, so you can choose which board is best for your style and needs. Self-inflating paddle boards can be used in a wide range of scenarios, from fresh to sea water. They can also be used by anyone— adults as well as children can have fun on these boards. There is no minimum skill level required, either. A self-inflating board is easily accessible to people at any skill level. Even those that need some help paddling can use a self-inflating board, as the ones with electric engines can provide some assistance with movement. The ease and convenience of these self-inflating paddle boards make paddle boarding accessible to many people, even those who have never even considered trying it before. This is a high tech version of an old tradition that can be enjoyed more easily than ever before. A self-inflating paddle board is convenient and fun for new and experienced paddlers alike. The fact that it’s inflatable means that it can be transported easily so you can take your paddle board anywhere in the world to experience the joy of being on the water. These boards are lightweight and can be folded up to an extremely small size when deflated, meaning you can take them with you and they won’t even take up that much space in your luggage.